The site of Archbishop’s Palace in Otford, Kent, dates back to 821 AD but it was in 1515 AD that Archbishop Warham built one of the largest palaces in England, comparable in size to Hampton Court. The Palace was home to 52 archbishops up to the 16th Century. In the 17th Century, the buildings fell into disrepair and now all that remains is part of the North Range – the North West corner tower, part of the Northern Gatehouse and connecting wall which has been turned into a row of three small cottages. A short video produced by Barbara Darby and narrated by Rod Shelton shows the Palace was it was in Tudor times. You can watch it here. 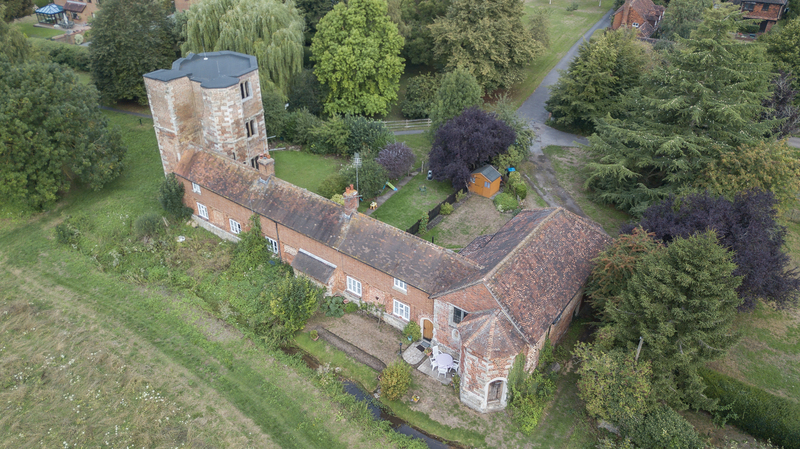 Although only part of the buildings remain, there is a major project to conserve the Palace as a visitor interpretation centre for the Darent Valley. You can find out more about the Archbishop’s Palace here. The remain that you see today were built on top of a succession of medieval manor houses and a Roman Villa. A set of drone images taken in August 2018 show the buildings of the North Range as they are today. There is also a short video sequence of the Palace from the air.